Pigeons? Quail? Rabbits? Squirrels? 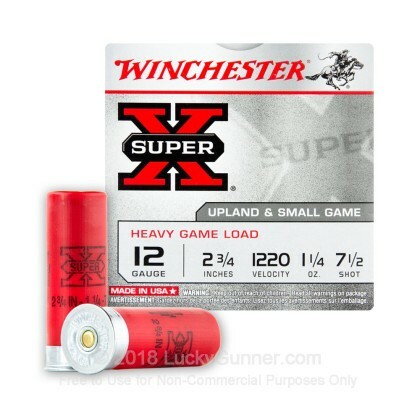 This 12 gauge shotshell load from Winchester has their number. 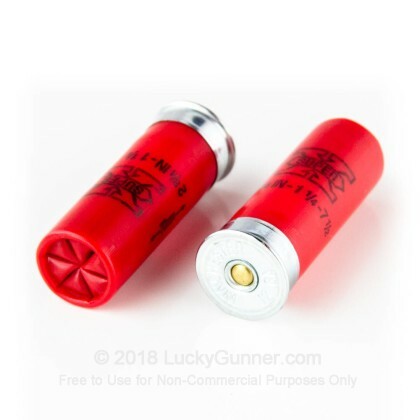 Each 2-3/4" shell in this box of 25 fires 1-1/4 ounces of #7.5 birdshot at a muzzle velocity of 1,200 feet per second, producing good patterns and deadly terminal ballistics against small game. 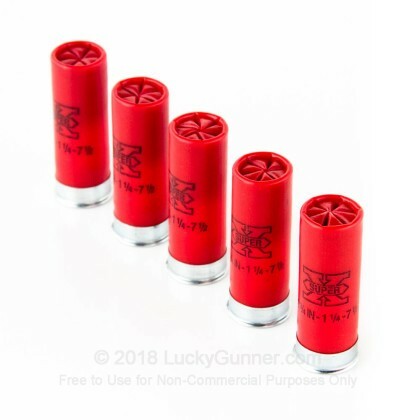 These shells, like other Super-X loads, use one piece hinged wads and 209 primers for optimal patterning and controlled recoil. 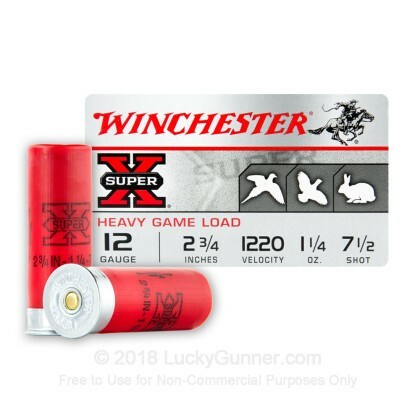 If you also want to use your 12 gauge for self-defense, check out Lucky Gunner's huge selection of buckshot ammunition. 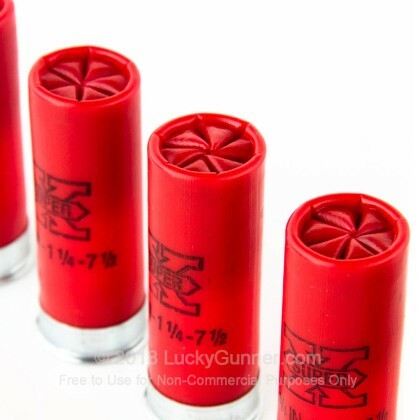 These birdshot shells should be used for small game hunting and sporting only due to their low penetration. When you buy Winchester products, you're buying quality at a reasonable price. 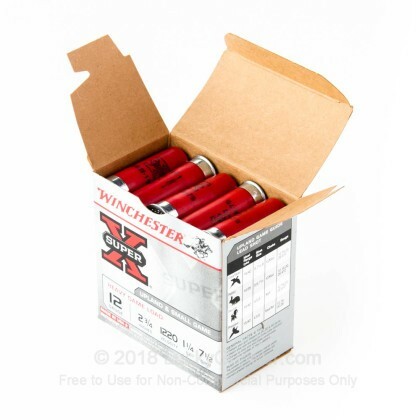 All Winchester ammo is made in the USA!